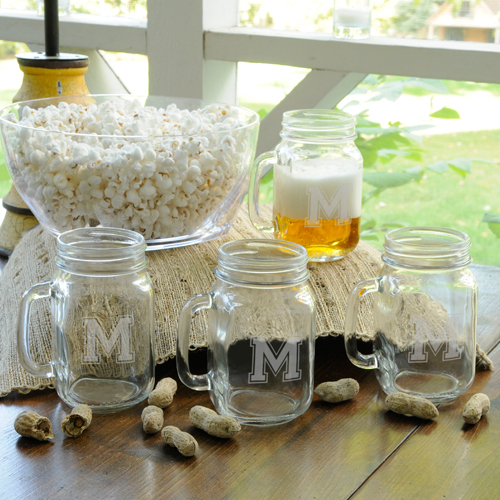 * Go old school with a set of these Mason-type Personalized Collegiate Jar Glasses. * With the initial of the recipient etched in collegiate font, these monogrammed glasses are offered in sets of four and are ideal for any cold beverage, from lemonade to beer. * Use them by the pool or keep them in the man cave! * Measures 5 1/4" x 2 1/2". * Personalize with single initial (all will be engraved the same). 5.25" x 2.5" x 2"